This document describes nginx-module-vts v0.1.18 released on 22 Jun 2018. Earlier versions is not tested. 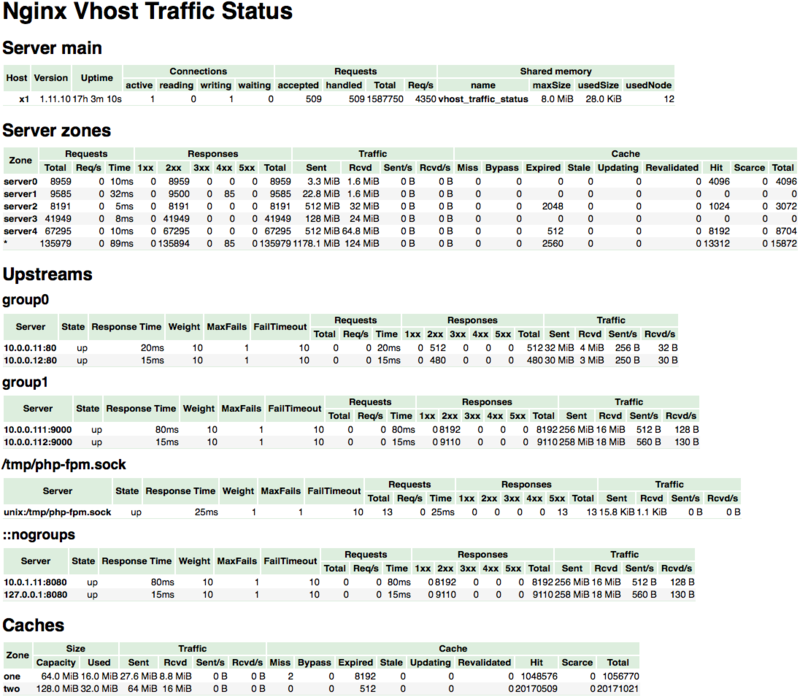 This is an Nginx module that provides access to virtual host status information. It contains the current status such as servers, upstreams, caches. 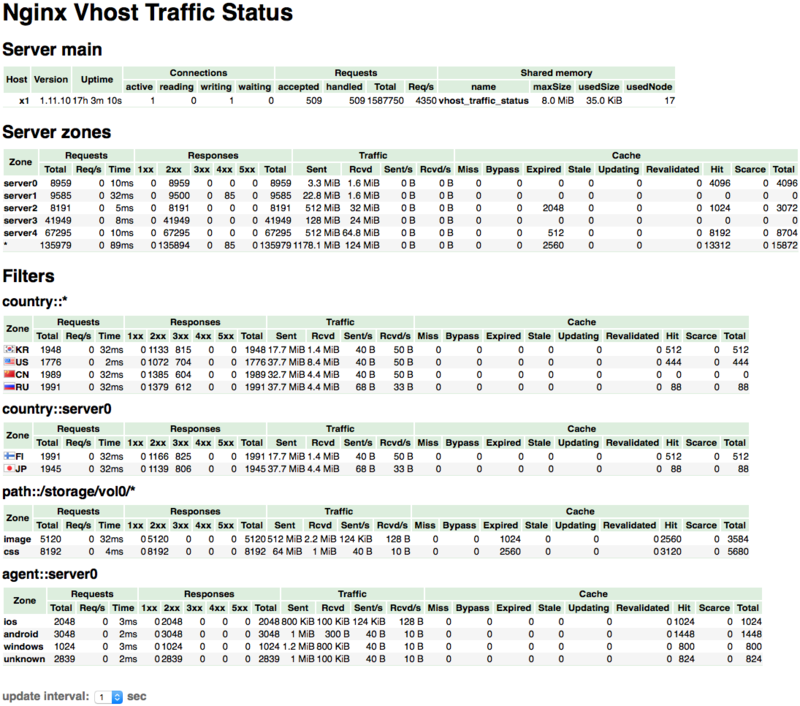 This is similar to the live activity monitoring of nginx plus. The built-in html is also taken from the demo page of old version. If you request /status/format/json, will respond with a JSON document containing the current activity data for using in live dashboards and third-party monitoring tools. If you request /status/format/html, will respond with the built-in live dashboard in HTML that requests internally to /status/format/json. If you request /status/format/jsonp, will respond with a JSONP callback function containing the current activity data for using in live dashboards and third-party monitoring tools. If you request /status/format/prometheus, will respond with a prometheus document containing the current activity data. If you request /status/control, will respond with a JSON document after it reset or delete zones through a query string. See the Control.